After calling one of the rescue divers who helped save the Thailand soccer team trapped in a cave a "pedo" and then apologizing, Elon Musk has now doubled down on his original claim. 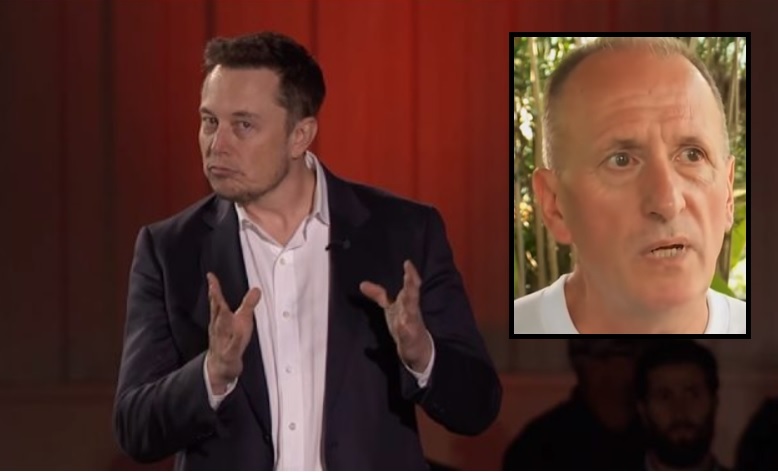 The chairman of Tesla drew heat after a sharp exchange on Twitter between Musk and a British explorer ended in Musk levying the accusation against Vernon Unsworth. Unsworth was part of an international team that rescued the team of trapped soccer players and their coach in Thailand. The operation took place after the team disappeared and their bikes were found at the Tham Luang cave complex entrance in northern Thailand. Unsworth stated in a televised interview that the mini-submarine that Musk designed and delivered to aid in the rescue was impractical and said he could "stick it where it hurts". Musk was displeased with the harsh criticism of his contribution to the rescue and ultimately called Unsworth a "pedo guy" and later tweeted "bet ya a signed dollar it's true". He later deleted both of the tweets but not before they were archived and reported on. Musk hasn't even provided any specific details or proof of the allegations that Unsworth abuses children and he apologized after Unsworth threatened to sue. The remarks caused Telsa shares to drop and investors issued an open letter demanding that Musk apologize. Musk doubled down on his accusation when he responded to another critic on Twitter Tuesday night saying, "You don’t think it’s strange Unsworth hasn’t sued me? He was offered free legal services." He later tweeted, "Did you investigate at all? I’m guessing the answer is no. Why?" Tesla investors have been unnerved by Musk's erratic comments on social media and the company has posted record losses of late. He told the New York Times that the last year had been "excruciating" and the "most difficult and painful of my career". Musk added that he had been working up to 120 hours a week and both his health and family were suffering as a result. His own investors are suing him for tweeting earlier this month that he planned to take the company private and assured: "Funding secured." The tweet sent Tesla's shares surging 11% which put a pinch on short-sellers but some lawyers say the tweet may have broken a law that bans public companies from announcing plans to buy or sell securities if executives don't actually intend to follow through.